Writing this blog is a risky business. In fact writing any blog, or newspaper column, or being a radio host, or a podcaster, is a risky endeavour. You see you are constantly throwing yourself into the public eye, and exposing your thoughts. It’s a bit easier when you are writing or reporting in a detached, non-opinionated, passionless kind of way, because you don’t invest yourself the same way, and you don’t expose your own thoughts and feelings. But when you write an opinion editorial or a blog, record a podcast or host a radio show, you take a red marker and draw a target on your back. Why do you do it, then? Why does anyone do it? Fame, money, notoriety, celebrity? For some, maybe – but for others, like me, it’s a simple desire to share our thoughts with others. Sometimes those thoughts resonate with them and we bask in the warmth of those who agree with us, and at other times we are left pulling the arrows out of that small red self-imposed target. Over the last two years I have developed a pretty thick skin. In some ways I am glad I have, because it means I can deflect the unkind anonymous comments left on various posts, the nasty emails directed at me as a person, and even the occasional threats. In some ways, though, I am saddened that now every single time I think about writing something I think: a) will this prove controversial? and b) if it does am I willing to get personally hammered over it and possibly be subjected to abuse of me as an individual? And I will admit it. It has on occasion changed how and what I write, because some days I simply can’t handle the comments and emails that cut into my spirit. Some writers suffer much worse than I, too. I have friends who have dealt with serious threats of personal harm, and abusive comments and emails of the kind that make you shudder. And on occasion it makes me wonder why we continue to do what we do, because the benefits of writing a blog like this are not financial. Writing, contrary to what some may believe, is hard work, and on occasion extremely challenging. And on those days when the unkindness flows and the name-calling emails begin you start to wonder if the work and challenge is worth it. It is, in the end, because for some of us - like me - writing is a bit like breathing, and it isn't really optional. It is simply what we do, throwing it out into the world and hoping it doesn't throw it back with a ten-pound anvil attached. I think it can be easy to forget that at the other end of this blog – or that radio show, or that podcast – is a person. A person, just like you, breathing and thinking and feeling. A person who for whatever reason has drawn a red target on their backs by putting themselves out there, and accepts the consequences but who isn't oblivious or immune to them. A person who shares their thoughts and opinions. And while most of these people, like myself, are open to dialogue about those thoughts and opinions, when they become attacks on us as people we are just as wounded as anyone else would be by similar attacks. The reality is no one is forced to read this blog. Those who find the musings contained in it to be of little value or even offensive can find other things to read that are more to their liking. And if they want to discuss the things I have written in a respectful and open manner they can easily leave a comment with their name attached, putting us on a level playing field where we can converse in that respectful way. And those who leave the abusive anonymous comments, the nasty emails, and the occasional threat? Perhaps they should stop for a second and reverse the situation, with them being the writer and the writer being on the emailing and commenting end. How would they wish to be treated? How would they want someone to respond to them? You see the golden rule – do unto others as you would have done unto you – extends to everyone. 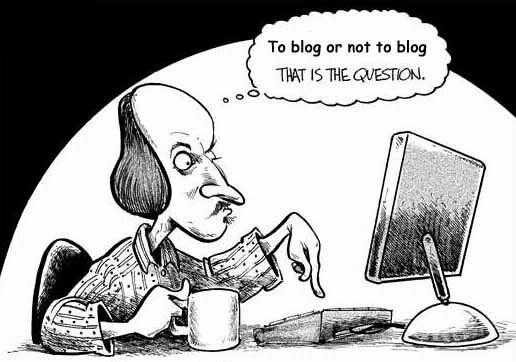 Even bloggers. There have been a few days when you and others have provided the solace I needed to keep sharing on my blog and my columns. Funny...it always breaks my heart when I hear that you have received nasty emails...I think, how can people do that, she was right, or that is her opinion? I guess we should try to remember our own advice? You have become famous in Fort McMurray for your passion, your writing and your sharing, keep it up! I know full well how frustrating it can be to deal with trolls. I had my fair share of them when I blogged in Nunavut. Mention the seal hunt or any hunting for that matter and those idiot thought police were all over ya. I too am a passionate writer, and I have, at least for the time being, resisted the temptation to blog in fear of tarnishing my reputation in the eyes of employers, above all. Closed-minded bone-heads should move out of this free and tolerant country to live their bigoted lives in a repressive society. Let's see if they like that. They might even come back to apologize. Keep on doing what you're doing, and don't let them get under your skin. (That's easy for this chicken to say!) I may start blogging if I muster the courage, but otherwise I'll publish the book I've been working on in one fell swoop.